Because let’s be honest. We all have something with poop. We all do it, even though some women I know will deny it until they die. Some of us even have fetishes with it. I wouldn’t go that far. Not nearly. But since I have pet rats, poop is a part of my daily routine. Luckily my ladies are potty trained. That is to say, they don’t poop outside the cage unless they are very stressed (which they hardly ever are). They used to be potty trained inside the cage as well. Took me 7 months of patience and switching bottom fillers, but we got there. Until I got the new cage. I can seriously put their tiolet anywhere I want, they will flip it over and throw out the corbo (corn that absorbs realy well) and poop wherever they like. They even pooped UNDER the towel that I put on the bottom for them…. But what suprises me the most is their always existing desire to poop in the Silent Spinner. This is what a Silent Spinner is supposed to look like. 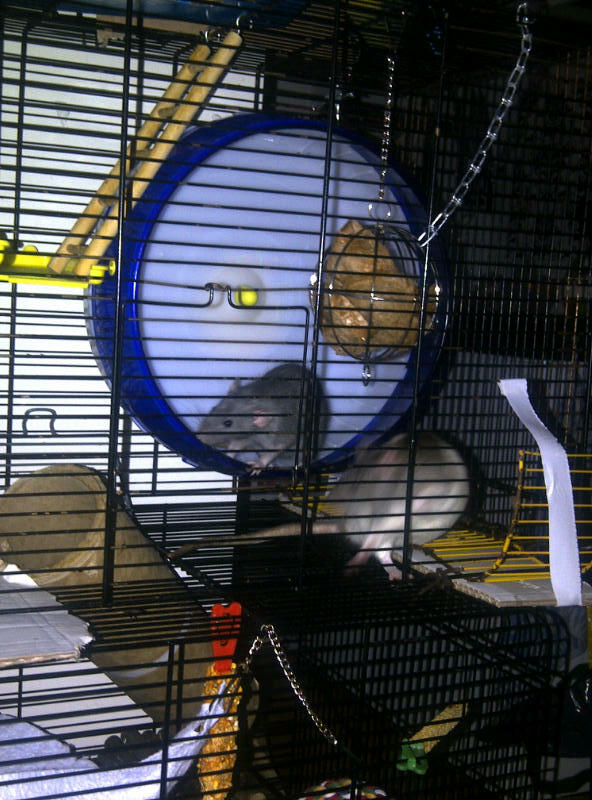 You can take off the base of the wheel and attach it to the cage on the inside, which is even better, so I have. 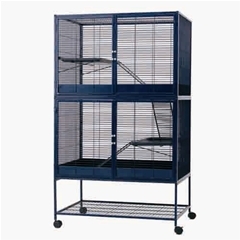 If you look at pictures of my cage, you will see it in there. Here and here. Some rats are runners, some aren’t. Koko isn’t one of them, I have only once seen her carefully put one paw on the wheel. Ruma on the other hand used to be a very enthusiastic runner. Not so much now, but she still uses it. 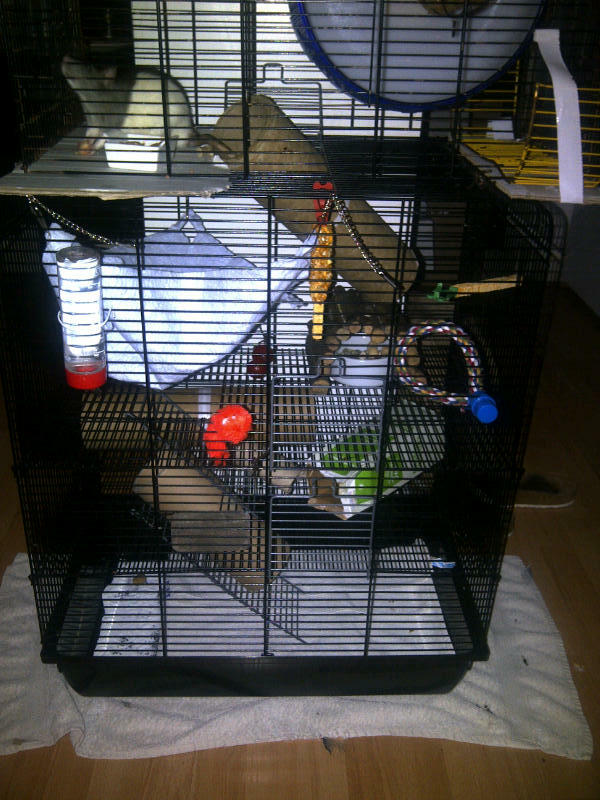 What I seriously don’t understand, and why I took it out of the old cage, is that one of them poops in it. I am not sure who it is, I’d think it’s something for Koko but since I’ve never seen her in there, I can’t be sure. But I can’t figure out why Ruma would poop in it. The problem is, when the poop is try, when she runs, it rattles like madness, and of course she only uses it at night, when I try to sleep. When the poop is wet, she tramples on it and it gets smeared out. This doesn’t only look gross, it smells like hell opened up a door in that cage. It is horrible. I used to have the wheel all the way tucked away in the back. Now I have moved it to the front so it’s easier to take out and clean. I just don’t understand why… why? WHY??? 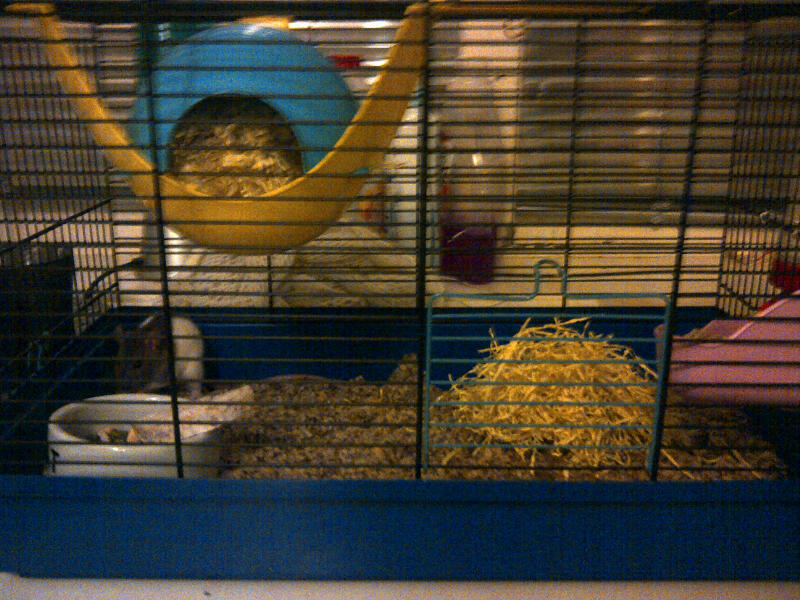 We have a fantastic house, called ‘the ratty-flat’. We started out small, but it has grown bigger and bigger over the months. First we had to live on cotton in the bottom. 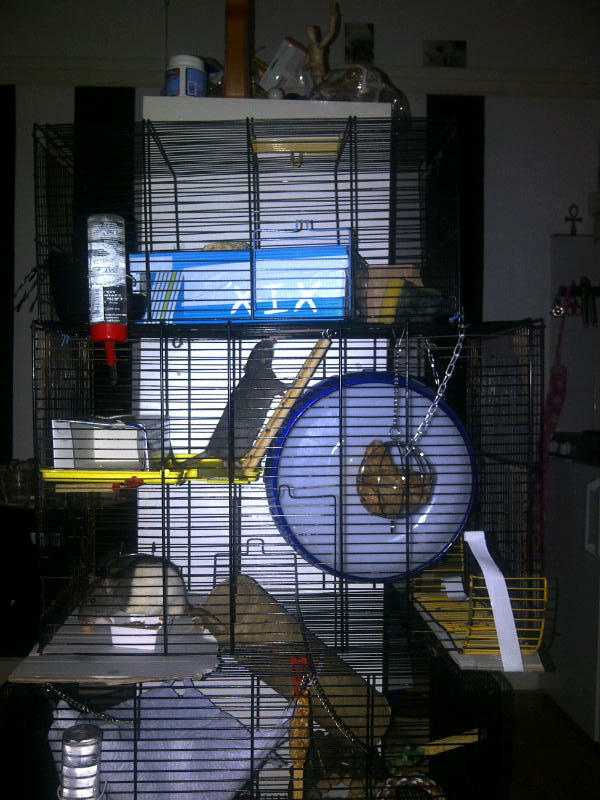 We liked messing that up, pushing it out of the cage and making a giant mess all around the cage. Now we just get old towels that get washed every week. We LOVE these! Not only are they great to gnaw on and tear apart, we can also build little nests in them. See, us rats, we like sleeping in our own pee, it’s a very comfortable smell. We hate it when our owner cleans the cage. We try to escape and hide as far away as possible. Clean cages smell too clean. 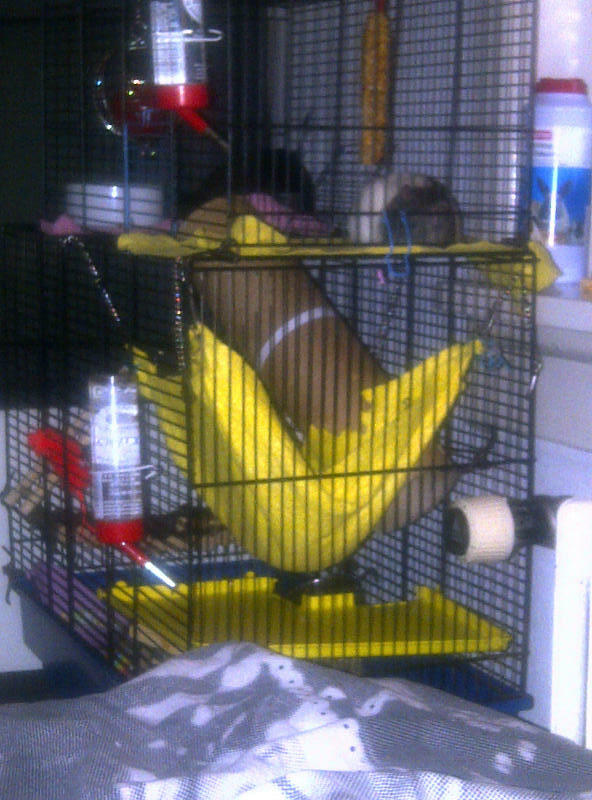 So the first thing we do when we are finally caught and put into our cage is pee everywhere and mess everything up. We really enjoy certain features of our home, such as the hammock, the fortress on top and Ruma loves running in the big silent spinner wheel. Koko mainly likes pooping in the wheel. One thing we hate about the cage is the bars. Koko vigorously tries to gnaw them very often. No success so far. For a while, we had a tunnel that we could use to get from one cage to another. But, little deviants that we are we gnawed our way through it several times and managed to escape (more about this in another post). So now we are stuck in a smaller cage, until our owner has time to clean the other cage and we can spend the day in one cage, and the night in the other. Luckily, we do get let out on a regular basis and then we run around like madmen, tearing up the place! Nothing like a little messmaking really. We have enclosed a little gallery of our home over the past months. Yeah, it keeps our owner busy!